If you are looking to turn to oils to cut down on the chemicals in your home from cleaning and beauty products I recommend adding Thieves oil to your first purchase. There are so many beneficial uses for it that it is a must in your essential oil arsenal– it is antibacterial, antiseptic, antiviral, antiseptic, and antifungal. 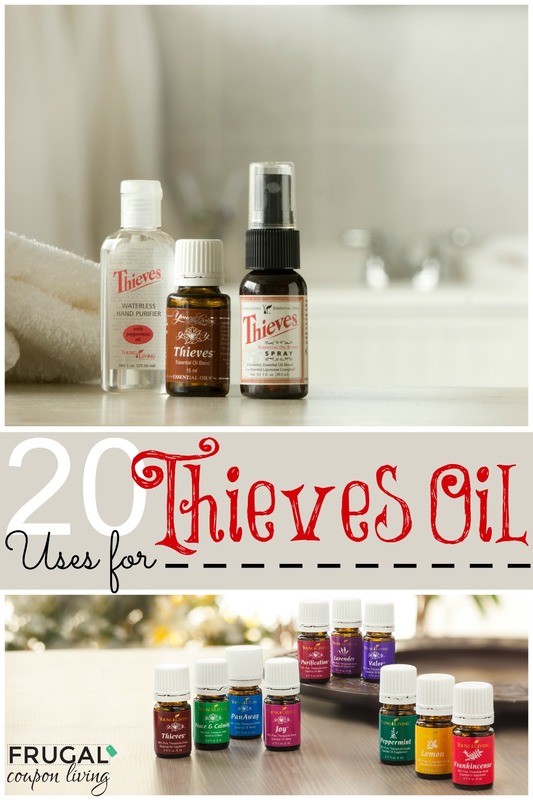 Here are just 20 of my favorite ways to use Thieves Oil. 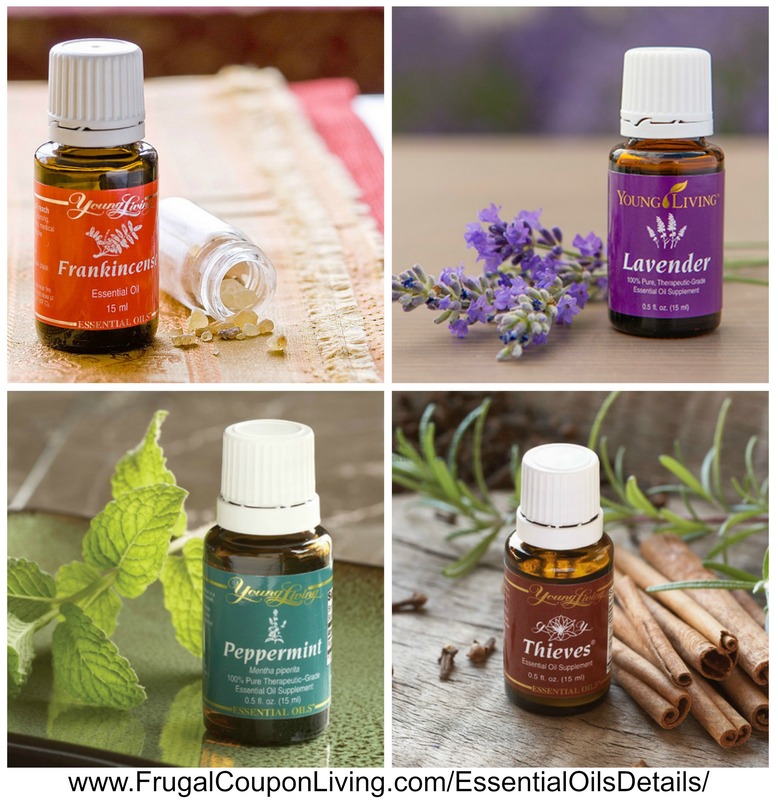 Don’t forget current Essential Oil Deals. Floor Cleaner – Add 5 drops to a sinkful of water to help clean and sanitize floors. All-Purpose Cleaner – Fill a bottle ¾ full of water, fill the rest of the way with vinegar, add 12 drops Thieves oil and spray surfaces, allow to sit 5 minutes, wipe away. General Disinfectant – Add several drops of Thieves to a bottle of purified water, spray on shopping carts, public toilets, water fountains,etc..
DIY Toothpaste – Combine 2-3 drops with 1 Tbsp. baking soda for homemade toothpaste. Hand Soap – Add Thieves to your favorite homemade soap (or hand sanitizer) recipe. Cleaning Toys – Add 10 drops to a spray bottle of water, spritz toys and allow to sit for 10 minutes, rinse and dry. Mouth Irritations- Apply a drop or two to a couple drops carrier oil and apply directly to affected area. Relieve Bug Bites – Add a drop or two to bite to relieve stinging and itching. Building Immunity – Mix with a carrier oil such as almond oil and rub into children’s and adults feet nightly, cover with socks. This goes well with the Homemade Chest Rub. Air purifier – Diffuse for 15 minutes, once or twice a day, especially during cold and flu season to clean the air. Sore Throat Spray – Add Thieves oil to purified water, and a couple drops of peppermint. Shake up in a small spray bottle- spray into back of throat as needed for relief. Laundry Boost – Add 5 drops to laundry load for cleaning and deodorizing. Sanitize Dishwasher – Sprinkle a few drops inside dishwasher, run one empty load. This will help sanitize and eliminate odors. Deodorize Pet Bedding – Use a spray bottle full of water with several drops oil to mist over pet bedding to clean and deodorize. Bug repellent – Repel aphids on plants by combining 4 oz. water with 3 drops oil, mist plants. Relieve Sinus Irritations – Add a few drops to a bowl of steaming water, cover your head with a towel and inhale the vapors. Head Relief – Put a drop on your thumb and press to the roof of your mouth for 2 minutes. DIY Dryer Sheet – Dampen a washcloth, add several drops of oil, toss into dryer. Homemade Chest Rub – Include a few drops in your DIY Chest Rub recipe to boost the benefits. Don’t forget our Homemade Chest Rub recipe. 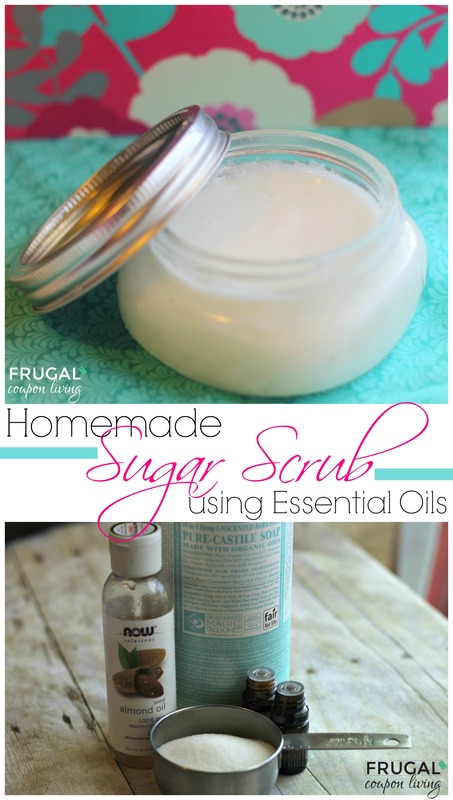 Did you enjoy this post, also check out our Homemade Sugar Scrub using Essential Oils. Pin to Pinterest. Also consider our Lavender Linen Spray Recipe and this Homemade Vicks VapoRub.